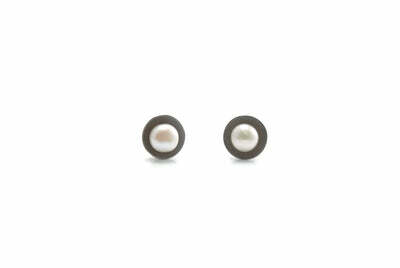 Modern jewelry to adorn your body and satiate your restless fingers. 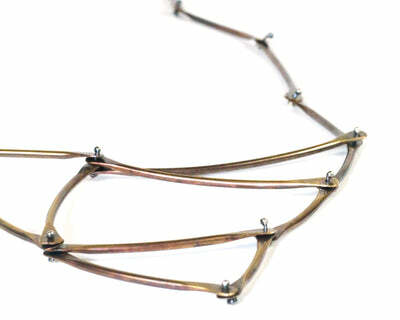 A lovely necklace with shapely movement. 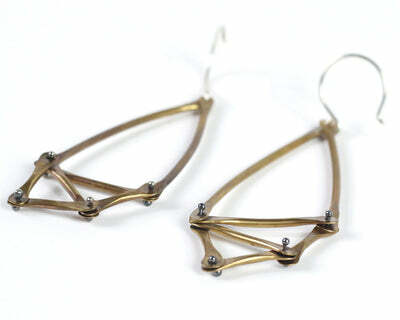 The sterling silver wires are kinetic and can move back and forth through the holes drilled into the brass pendant. 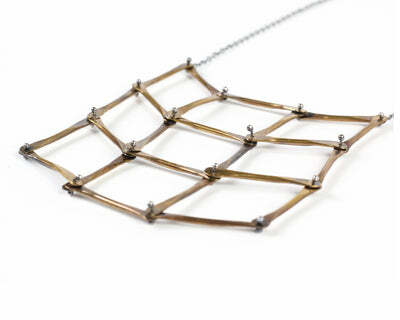 You wont be able to resist playing with it to keep your fingers busy and to transform the shape of the pendant. The pendant is 2 1/2" long but can be made to any length upon request.